It doesn't matter how bad things are, it'll work out in the end. So, got the system fully updated, re-compiled 7.2 of the ATI driver for X, and now am experiencing several oddities. The first of which, I seem to lose my mouse cursor when X starts up. Next, some games seem to work just fine while others do not. For example, I can run all of my confirmed working Neo-Geo roms (Double Dragon, Magician Lord, etc) and a select few other games (Street Fighter II) just fine. Others exit immediately with the same problem about XRandR. If you want, I can log on temporarily from the linux box and post some logs. I forgot to ask, would any of the SDL patches to the ISO have had anything to do with this as well? [Edit] Ah-HA! It IS in fact SDL being un-patched that is causing my issues. I did an environment variable of SDL_VIDEO_X11_XRANDR=0, and got no issues (but no full-screen switching). So apparently SDL in some way needs additional patching for such low resolutions. Update 15KHz patches for linux 3.11. I'm planning on buying a tri-frequencies cabinet and I was wondering if Groovy Arcade can take advantage of that for 24 and 31khz games ? Yes, it can. If you have the manual for the monitor, you can enter everything needed for SwitchRes and GroovyMAME/GroovyUME after installation. There is a chance the D9200 or D9800 presets could work for you as well. Update 15KHz patches for linux 3.12. So just got this setup via USB boot on my cocktail vertical only project. How do I define or select the resolution that will run native for the AdvanceMenu? Where is this located ? jtslade, try to ask there. Note that I had to find a modeline configuration that worked with my arcade monitor. I also had to make changes to the AdvmenuPlus theme, that was configured for the default resolution. 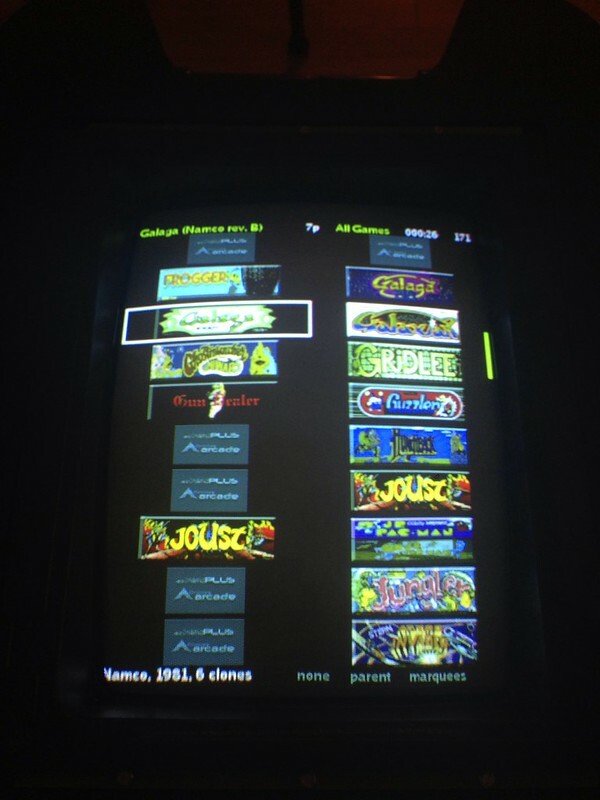 What kind of arcade monitor do you have that you enabled the lower res menu resolution for? Update 15KHz patches for linux 3.13. 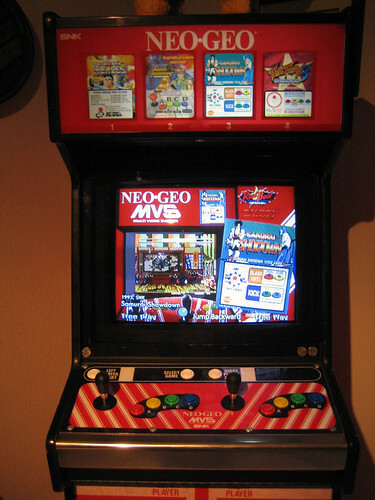 Thinking of using GroovyArcade for an older computer that I have laying around (with an AGP ATI Rage 128 videocard) that I have to use with a Wells Gardner arcade monitor (through a J-PAC). Where is the current source tree and build scripts? The GIT repo mentioned at https://code.google.com/p/groovyarcade/source/checkout appears to be empty. offset, try to ask here. So what are my options to get the Marquee's to fill the screen. Do I need to resize them all in Photoshop or can I set some scaling options? Update 15KHz patches for linux 3.14. Update 15KHz patches for linux 3.15. Update 15KHz patches for linux 3.16. Update 15KHz patches for linux 3.17. Anyone using Xorg v1.16 finding any difference in performance to Xorg v1.15? I am finding glxgears to run very slow in fullscreen with v1.16 (1024x768@75hz). Note: I'm just checking out vanilla Xorg v1.16, No patches or changes at this time. Update 15KHz patches for linux 3.18. Update 15KHz patches for linux 3.19. Is there a similar patch for 4.12 kernel? It's only the linux diff I need. The 3.19 one fails patching the second last file because it doesn't seem to exist. How did you do it? Did you just patch the linux-3.19.diff onto your 4.1.13 kernel source or did it need tweaking? If they needed tweaking, I updated the commit message to reflect this. The linux-patch needed tweaking for 4.1. The other 2 didn't since 3.19. Basically upon a new tag in linux-stable I create a branch <version>-15khz, cherry-pick the patches from an older one, tweak if necessary and tag them as v<version>-15khz. On a semi-regular basis I redo this to have an up-to-date kernel on my cabinet. Thanks, I have it working now. I needed it to use the console on my non Groovy Arcade Linux installation. I know how the offsets in the diff file work now so I should be able to sort it myself if it changes again. Now you can find updated linux kernel patches here. Page created in 0.24 seconds with 55 queries.